New designs for the apartments at either end of Arkwright Walk have been approved. It’s envisaged that the housing will be available from a year after construction works, with all housing planned for Arkwright and Blackstone being available after two and a half years. Works might start in April. Now we have the full road open again to walking and cycling, we are also planning for midi buses to used the route (NCT Navy 3 and city council LOCALINK 1) both for convenience of local residents and to give the shopping centre a higher profile. The grass patch next to the play equipment is very worn (the litter bin and the lighting column proving natural goalposts). Perhaps some proper goal posts, a wicket and some grass mats might give the kids a better experience. Switched on 2 days previous. Set for 15 minutes before dusk and half past midnight; then for 5am (or 15 minutes before dawn). The gap at night is cos some people have asked for less light spill at night (although these lamps direct the light vey well) and for the benefit of bats. 42 lamps, each of 35W drawing 5 amps with average 8 hour use per day leading to 20 year lifespan. Fresh grass seeding has taken well in the mild Autumn, but there are some snagging works to be done. The scheme is expected to help cyclists and walkers, and we’ve certainly received doorstep concerns about walking to work in the dark. The lampheads are 21st century technology, but have an Edwardian style. The afternoon review was part of the handover process. Fuller photos available in Facebook. A six week initiative with kit to read cards situated around Nottingham, that walkers use to log places they’ve visited, using a map that tells of places visited. An initiative that we are running across Nottingham from 27th April to 8th June 2016 called Beat the Street. All schools in your area are invited and it is free to take part. Beat the Street is a fun free real-life walking and cycling challenge delivered on behalf of the National Charity Partnership – a partnership between Diabetes UK, the British Heart Foundation and Tesco – and is being delivered with full support of Nottingham City Council. 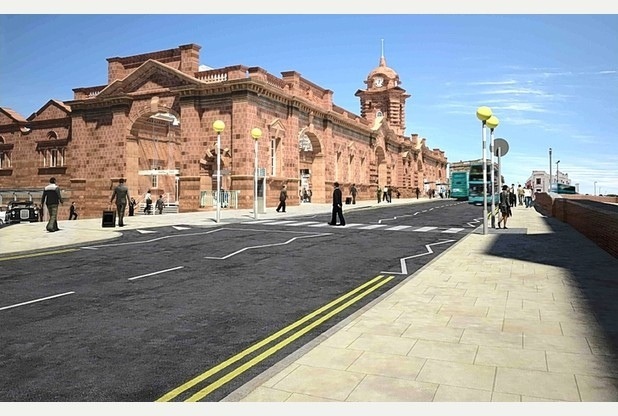 The Nottingham Post reports – “A CITY centre junction will be shut permanently to traffic from Sunday. Work at the junction of Station Street and Carrington Street will see the zebra crossing replaced with a raised pavement. Nottingham Council has allocated funding to provide two new crossing facilities on Meadows Way as well as improvements to bus stops. 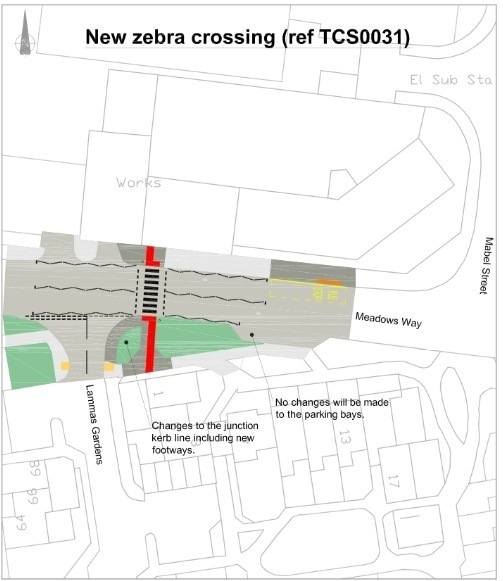 • To provide a new zebra crossing to the east of Lammas Gardens. The crossing will include a controlled area shown by zig-zag markings, meaning no vehicle will be allowed to park or load and unload within this area. As part of the work here, new footways will be built and the kerb line around the junction of Lammas Gardens will be altered. • To accommodate the zebra crossing the bus stop box marking and raised kerbs at bus stop ME02 will be moved a few metres towards Mabel Street. The bus shelter will remain in its current position. • Install a central refuge to the north of Eugene Gardens, linking the shared pedestrian/ cycle route along Kirkwhite Walk to the footway leading to London Road. 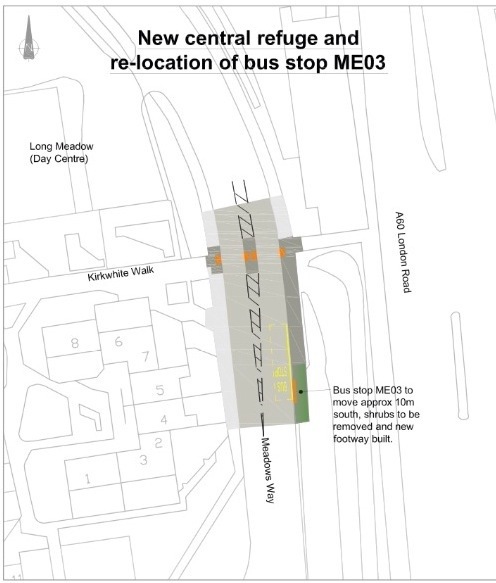 • To accommodate the central refuge and allow sufficient space for vehicles to get past a stationary bus, work will be carried out to move bus stop ME03 approximately 10 metres south towards Eugene Gardens. Consultation officially begins in a few weeks time, but the proposal will be presented at the public meeting on Thursday. A plan between the City council and Intu have been announced to renew Broadmarsh Shopping Centre. The shopping centre met the aspirations of the past – bright interiors sheltered from the weather, accessible by motorised transport. But compared to other modern shopping centres, it no longer has a sense of occasion or arrival. The rear entrances are tiny mouseholes in huge brick walls that combined with a four lane traffic speedway make you screw up your eyes as you get through it. So, the intention is to get traffic out of Collin Street, to re-create the processions that existed between the centre & the railway station and to restore the balance between the desirability of Nottingham’s two main shopping centres. The southern relief route was established some ten years ago to enable the planned changes in traffic, and the new shopping centre will get the long planned for extra tram stop. Big changes at Nottingham Station. The tram expansion, with the new stop to be over the station. The Hub project, renewing the station buildings. The re-signalling, with a change to track layouts and platforms, which will reduce the frequency of trains waiting outside the station. The track renewal requires what is dramatically called a “blockade”, between 20 July and 25 August. So many bus services will be required to replace the trains, that the use of Station Street and Trent Street will be changed, to allow it to work as a bus station. Some information is available now, http://www.eastmidlandstrains.co.uk/train-times/nottingham-disruption/ , and more details will follow in time, but in the meantime, in recompense, train operators have announced a 15% fare reduction. The Rights of Way over the railway station are being considered too. Currently it applies to the wooden bridge (from opposite Loxley House) and through the old car park (serving a block of flats) which is to become a servicing area. A previous request to remove the right of way was refused. On May 23rd, Councillors will consider a change to the right of way recognising that pedestrians following a walking route to the block of flats will be better served by using the new tram bridge and the new car park; but this will not be available during some of the night, so can’t be a right of way. Therefore the recommendation will be that the right of way stays for the wooden bridge, but then serves access to Summers Leys Road, via the current platform 6. Official reports will be published soon.